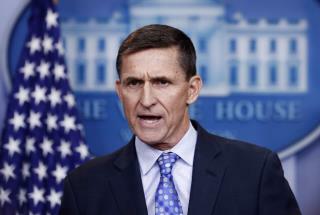 'He's a liar': The new White House strategy will use Flynn's own admission to Mueller that he lied to FBI investigators to cast doubt on his credibility, according to the Post story. "He's said it himself: He's a liar," one insider tells the newspaper. Flynn's family: Flynn's brother, Joseph, has a different idea of how this can play out. "About time you pardoned General Flynn who has taken the biggest fall for all of you given the illegitimacy of this confessed crime in the wake of all this corruption," he tweeted to President Trump. The tweet was quickly deleted, but Joseph Flynn confirmed to Newsweek that he posted it, adding, "Maybe he's listening." Trump fired Comey, thinking that would end the Russia probe. That only ended with a special council. Four indictments and two guilty pleas later evidence continue to be gathered. As much as he might want to, interfering into this investigation again, could, and more than likely would threaten Trump's presidency. Mueller will conclude this investigation. I think the Trump teams are worried. Don't they all do that casting a witness as a liar? Mueller will still get Trump who is a can of stinky worms. Looks like Flynn is getting drown under the bus and train.